Covert Collision Center is Austin's premier, family-owned auto body and paint shop. As a member of the Covert Auto Group family, we have been serving Central Texans automotive needs since 1909. Had a wreck, now what? It is our sole mission to get your vehicle returned to its pre-accident condition and get you back on the road as quickly as possible. Any make, any model - our professionalism, transparency and friendliness will make repairing your vehicle as stress free as possible. We are staffed with highly experienced professionals who take pride in serving our Covert customers. Our professionally trained staff makes the repair process easy for you; from towing your car to getting your car back to its original look and feel. 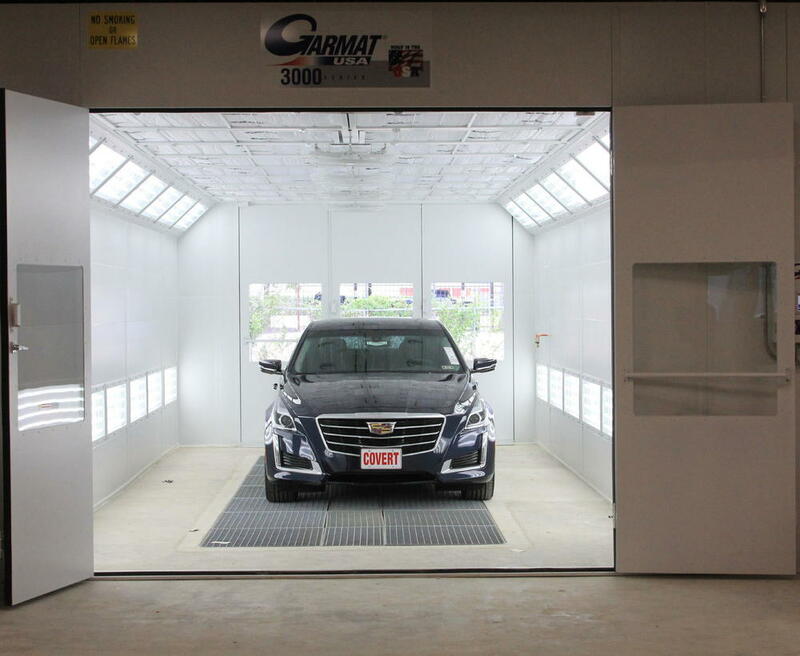 Our newly-built, state of the art facility ensures our ability to provide you with an unmatched vehicle repair experience.